Hardcover, 11.75 x 8.25 in. / 110 pgs / 85 color. 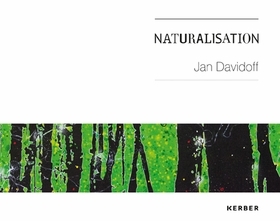 This volume gathers recent paintings by German artist Jan Davidoff (born 1976), made between 2007 and 2012. Davidoff’s electrically colorful landscapes, resembling high-contrast photographs, articulate longings for a lost paradise. FORMAT: Hbk, 11.75 x 8.25 in. / 110 pgs / 85 color.